Crosby's 2017 album, Sky Trails, rang out with the jazzy flair of sweet Steely Dan. And his latest, 2018's Here If You Listen, recorded with the Lighthouse Band, might be one of the most downright gorgeous explorations of harmonies he's ever produced. Crosby attributes his late-life bout of inspiration to the young musicians he's working with. We talk about the Lighthouse Band's members, Michael League of Snarky Puppy, and solo artists Becca Stevens and Michelle Willis. Of course, Crosby is not new to the four-part harmony band arrangement. We talk about what he learned from his time in Crosby, Stills, Nash and Young and he tells the story of watching Neil Young write the iconic song "Ohio" quickly and urgently in the aftermath of the 1970 Kent State shootings. 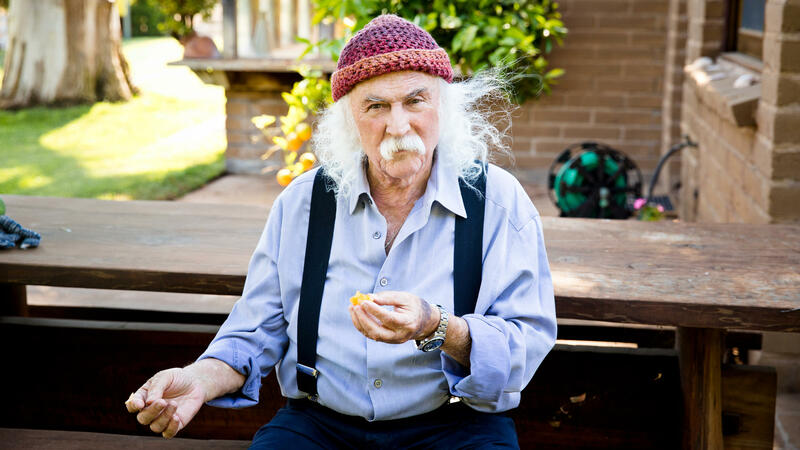 Crosby is also the subject of a new Cameron Crowe documentary called David Crosby: Remember My Name. Crosby calls it "a very honest conversation," and shares that there are some painful moments. The film will have its world premiere at the 2019 Sundance Film Festival, which begins this week. Listen to it all in the player.